The Atlantic Rainforest once covered a huge swathe from eastern Brazil, through Uruguay and Argentina, to eastern Paraguay. Now only seven percent survives, making it crucial to save the remaining last fragments. 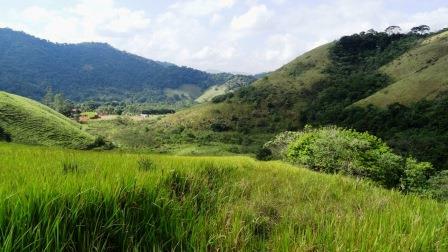 The Guapi Assu Reserve was once an agricultural farm, so some of the habitat had previously been destroyed or damaged to make way for crops or for cattle grazing. Since 2006, WLT has been funding a Reforestation Programme, to support tree planting and assisted natural regeneration to reconnect small patches of isolated forest. Antonio’s dedication to protecting the Rainforest and its wildlife makes him a passionate ambassador for conservation, encouraging community involvement in his work and ensuring the long term success of his projects. 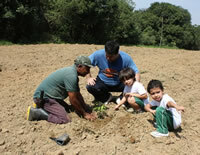 An important part of Antonio’s job is working with local people to plant trees and collect seeds from the forest. For as little as £5, you can plant a tree in Guapi Assu Reserve and help support Antonio’s plight to restore parts of the Atlantic Rainforest. 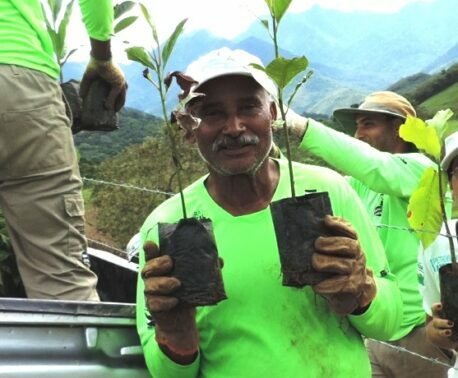 Help support Antonio and his devotion to restoring the Atlantic Rainforest through the Keepers of the Wild Appeal or Plant a Tree with WLT. 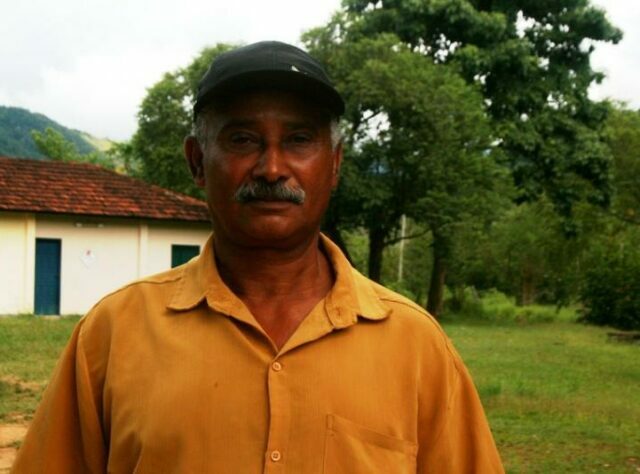 Antonio is one of three rangers at REGUA to be supported through the Keepers of the Wild appeal. Funding from BIAZA member zoos and the 2010 Royal Parks Half marathon is funding these rangers.